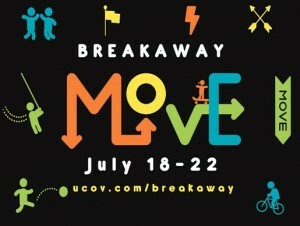 This year, Breakaway MOVE! is partnering with The Water Project, a non-profit organization that is bringing relief to communities around the world who suffer needlessly from a lack of access to clean water. 1 in 4 children who die before age 5 worldwide, die of a water related disease. Most people without access to clean water live right above it. In many cases the only thing preventing access to clean water is money. We CAN make a huge impact in someone’s life! We are asking all the kids at Breakaway MOVE! to find a spare sock and fill it with spare change they find at home, all throughout the week! All the proceeds of these donations will go directly toward the building of a well in an African country to provide clean, fresh water. We hope you'll consider joining me to fund a water project. With your gifts and your help rallying support, we can provide clean, safe and reliable water to a community in Africa.